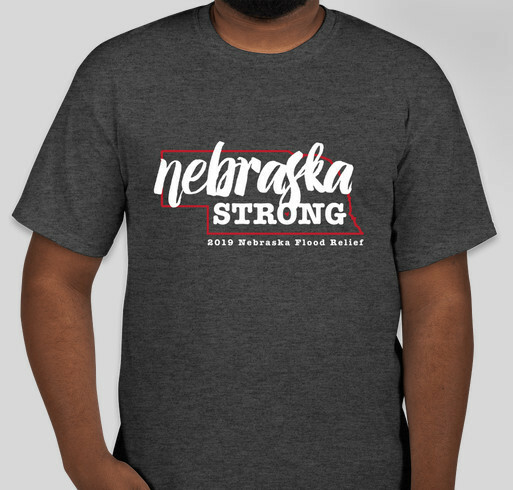 Purchase a shirt to help support those affected by floods & storms in Nebraska. All funds raised will be paid directly to Noel Photography and Design for donating to the Salvation Army and Nebraska Farm Bureau..
Nebraska has been struck with record flooding and blizzards all across the state. Leaving farmers, ranchers, communities and families with loss of life, homes, property, animals and more. All proceeds will be donated to the Salvation Army and Nebraska Farm Bureau to help families and farmers get back on their feet. Faith love and hope! Nebraska Strong for a brighter tomorrow. Thanks Jen! There’s no place like Nebraska !!!!!!!! We love living here. We needed help 10 years ago after a house fire. Everyone was so wonderful. Good vibes!!! Share Why You Support "Nebraska Flood Relief"